Russian Lacquer Art is an ancient, traditional art form of Imperial Russia and is beautifully expressed in the Iconic Art across Churches in Russia. With the end of Imperialist rule, iconic painters faced a bleak future and the art form would have become extinct, were it not for efforts made in the last couple of decades to revive it. The four villages of Fedoskino, Mstera, Kholui and Palekh, once the traditional centers of Iconic Art, developed into thriving art centers where Miniature Art was developed and expressed in distinct styles that blended the traditional European and Oriental traditions of lacquer miniature art. The process from sketch to finished product can take anything from six weeks to six months depending on the complexity of the design. Our artists use an eye glass to work in all the miniaturized detail. 18K solid Gold, 22K solid Gold Leaf, Sterling Silver Leaf, as well as Platinum powder are used. The minor inconsistencies or discolorations sometimes seen are a natural result of the use of such Gold Leaf. Many of our artists have been recognized for their work on display at Museums across Russia. The Connoisseur features our most exclusive and exquisite range of pens that showcase the highest level of artistry achievable in Russian Lacquer Art. The pens in The Connoisseur are larger in size and have an eye dropper filling mechanism as seen in the early 20th century writing instruments. The edition size is always limited to 9 pens in each theme. The pens are equipped with large 18K Gold nibs available in Extra Fine, Fine, Medium and Broad nib widths. 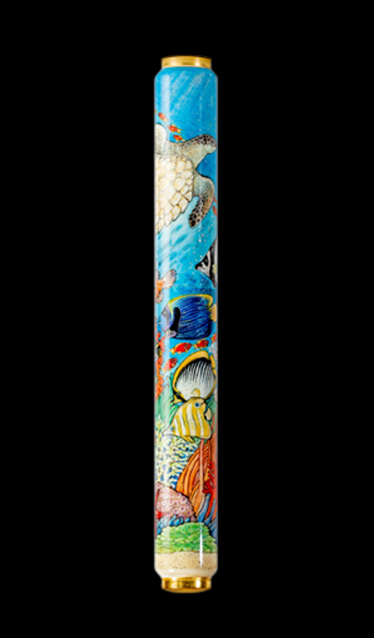 These pens are authored by the most honored and revered artists of Russian Lacquer Art. They are true heirlooms worthy of being handed down from generation to generation. The Writer is an exemplary work of art in a smaller sized pen. These pens are equipped with twist converters to fill ink and are easy to travel with and place in a shirt pocket. 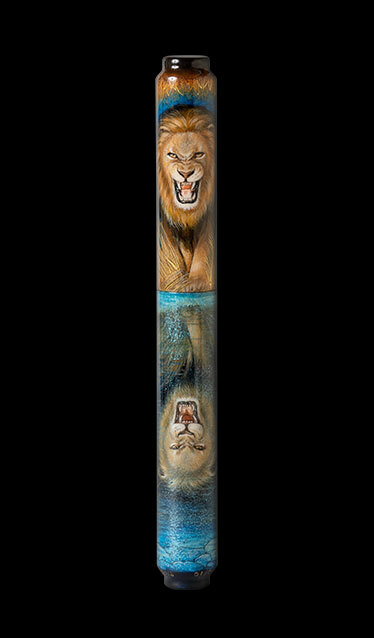 The pens are painstakingly handcrafted by renowned artists and masters of Russian Lacquer Art. The pens are available with 18K Gold nibs of a smaller size in various widths to Include Super Extra Fine, Extra Fine, Fine, Medium and Broad. The pens are limited to between 9 and 18 in any given theme or color. Some of our Writers come with clips while others are without clips. We also offer Roller Ball pens in this range. We offer a nib customization service to our collectors.